Bromley forms part of the Bromley and Chislehurst Parliament constituency and the London European Parliament constituency. The current MP is Bob Neill. James Cleverly is the London Assembly member for the Bexley and Bromley constituency, in which the town is located. 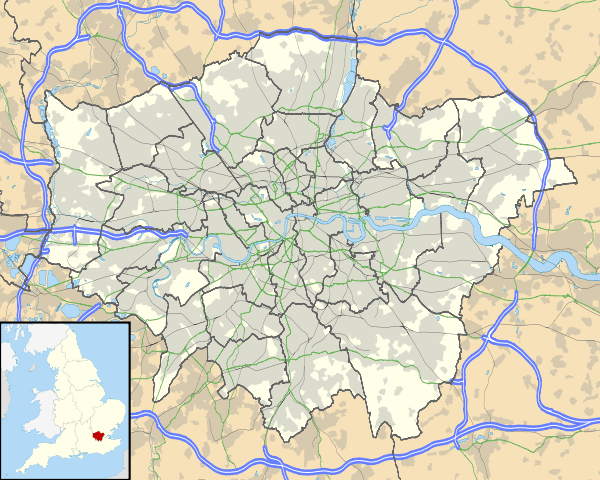 Bromley is located 9.3 miles (15 km) south east of Charing Cross and is one of the major metropolitan centres identified in the London Plan. 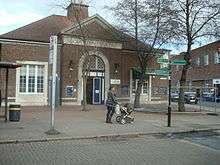 Bromley is a post town in the BR postcode area, consisting of BR1 and part of the BR2 postcode district. BR1 covers Bromley, Bickley, Sundridge and part of Downham; and the BR2 portion covers Hayes, Shortlands, Bickley and Bromley Common. Bromley is one of the major metropolitan centres identified in the London Plan. The town has a large retail area, including a pedestrianised High Street and the Intu Bromley centre (the "Glades" until 2013), the main shopping mall. The shopping area includes retailers such as Gap, Oasis, Russell & Bromley and Waterstone's, whilst the restaurants includes a branch of the small chain of Belgian-themed Belgo restaurants. Bromley South station with services to London Victoria nonstop or, via Herne Hill // Kentish Town via Blackfriars and also London St.Pancras (Intl) // trains are available to many other stations incl. Orpington, Sevenoaks via Swanley, Gillingham, Ashford International via Maidstone East and a splitting service to Ramsgate and Dover Priory via Chatham. Bromley North station with services to London Bridge and Charing Cross by changing at Grove Park. Bromley is served by many Transport for London services and an Arriva Kent route, these connect it with areas including Beckenham, Bexleyheath, Catford, Chislehurst, Croydon, Crystal Palace, Eltham, Hayes, Lewisham, New Addington, Orpington, Penge, Sevenoaks, Sidcup, Tonbridge, Tunbridge Wells and West Wickham. Bromley also has the cultural distinctiveness of having its own Morris team, The Ravensbourne Morris Men. Founded in 1947 as a post war revival team following an inaugural meeting at the then Jean's Café, which was located opposite Bromley South Station. The town has four Non-League football clubs. Two teams play their home games at the Hayes Lane Stadium: Bromley F.C. and Cray Wanderers F.C.. The other teams, Holmesdale F.C. and Greenwich Borough F.C., play at Oakley Road. Bromley F.C. are in the Conference National, one level below the Football League. Cray Wanderers F.C. are currently three divisions below Bromley F.C. in the Isthmian League Division One North. The parish church of St Peter and St Paul stands on Church Road. It was largely destroyed by enemy action on 16 April 1941 and rebuilt in the 1950s incorporating the medieval tower and reusing much of the flint and fragments of the original stone building. The most noteworthy historic building is Bromley College, London Road. The central public open spaces are; Queen's Gardens, Martin's Hill, Church House Gardens, Library Gardens and College Green. 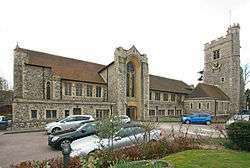 Another parish church in Bromley worth noting is St Mark's, which stands in Westmoreland Road. The present church is the third. 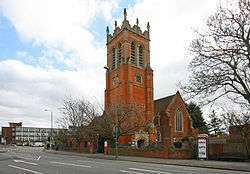 The first was built as a temporary iron church in 1884 to cope with Bromley's growing population, on land slightly to the east of the present church, donated by a local man called Eley Soames. The road name St Mark's Road preserves the rough location of the former site. H. G. Wells, "one of the remarkable minds of the twentieth century," was born in Bromley on 21 September 1866, to Sarah and Joseph Wells; his father was the founder of the Bromley Cricket Club and the proprietor of a shop that sold cricket equipment. Wells spent the first thirteen years of his life in Bromley. From 1874 to 1879 he attended Tomas Morley's Bromley Academy, at 74 High Street. There is an 'H. G. Wells Centre' in Masons Hill near the southern end of the High Street which houses the Bromley Labour Club. In August 2005, the wall honouring Wells in Market Square was repainted. The current wall painting features a rich green background with the same Wells reference and the evolution sequence of Homo sapiens featured in Origin of Species by Charles Darwin, a former resident of nearby Downe Village. Wells wrote about Bromley in an early unsigned article in the Pall Mall Gazette in which he expressed satisfaction that he had been born in an earlier, more rural Bromley. A blue plaque marks Wells' birthplace in Market Square, on the wall of what is now a Primark store. A marble plaque appears above the door of 8 South Street, the location of Mrs Knott's Dame school where "Bertie", as he was called as a child, learned to read and write. H.G. Wells featured Bromley in two of his novels: The War in the Air (which refers to Bromley as Bunhill) and The New Machiavelli (in which Bromley is referred to as Bromstead). Other famous people who lived in Bromley include Alex Clare, Charles Darwin, David Bowie, Richmal Crompton, Pixie Lott, Starsmith, Christopher Tennant, Peter Frampton, Aleister Crowley, Siouxsie Sioux, Gary Rhodes, Poly Styrene, singer Billy Idol, Trevor Goddard, actor Billy Jenkins, cricketer Jill Cruwys, the anarchist Peter Kropotkin, the former Clash drummer Topper Headon, illustrator Charles Keeping, Formula 1 test driver Gary Paffett, children's writer Andrew Murray, tenor Roland Cunningham, actor Michael York who attended Bromley Grammar School for Boys, clarinetist Chris Craker, Don Perrin, Canadian author who attended Burnt Ash School in Bromley, and Sir Thomas James Harper, an officer decorated in the Crimean War. In the 20th century, the Parish Church of St Peter and St Paul produced, in quick succession, three Church of England Bishops: Henry David Halsey – Bishop of Carlisle, Philip Goodrich – Bishop of Worcester, David Bartleet – Bishop of Tonbridge. Sculptor Nicholas Cornwell and Maisy James the Big Brother 12 housemate. Some time before 1881 the engineer and industrialist Richard Porter moved to Beckenham where he remained until his death in 1913.Hanif Kureishi, the famous writer and filmmaker was born here, and spent a significant part of his youth, here. His first novel The Buddha of Suburbia was loosely based on his life here and the people he lived and met here. Comedian Frankie Boyle claims to be a former resident and recently described Bromley as a 'lobotomy made out of bricks'  The comedian Chris Addison currently lives in Bromley. West Ham United F.C. midfielder Gary O'Neil, former Millwall FC and Everton FC midfielder Tim Cahill, and Reading FC (previously Blackburn Rovers) striker Jason Roberts lived in Bromley, English darts player Les Capewell was born in Bromley, Manchester United defender Rio Ferdinand, Leicester City F.C. defender John Pantsil. Cricketer Matthew Featherstone was born in Bromley and played List A cricket for the Kent Cricket Board. ↑ Mayor of London (February 2008). "South East London sub region". Greater London Authority. Retrieved 29 September 2009. ↑ "Bromley CP/AP through time | Census tables with data for the Parish-level Unit". Visionofbritain.org.uk. Retrieved 2014-05-19. 1 2 Mayor of London (February 2008). "London Plan (Consolidated with Alterations since 2004)" (PDF). Greater London Authority. Archived from the original (PDF) on 2 June 2010. Retrieved 29 September 2009. ↑ "Bromley". Mick Scott, Nonsuch Publishing. 2005. ↑ Great Britain Historical GIS / University of Portsmouth, Bromley parish. Retrieved on 29 September 2009. ↑ Mayor of London (February 2008). "London Plan (Consolidated with Alterations since 2004)" (PDF). Greater London Authority. Archived from the original (PDF) on 2 June 2010. ↑ "Ravensbourne Morris - Home side of the World Morris Dancing Record Holder Ben Dauncey". Ravensbourne.org. Retrieved 2014-05-19. ↑ "St Peter and St Paul website". 1 2 3 Robin Waldron. "St Mark's History" (PDF) (2011 ed.). St Mark's Church Bromley. Retrieved 6 April 2015. ↑ David C. Smith, H.G. Wells: Desperately Mortal: A Biography (New Haven and London: Yale University Press, 1986), p. 4. ↑ David C. Smith, H.G. Wells: Desperately Mortal: A Biography (New Haven and London: Yale University Press, 1986), p. 6. ↑ David C. Smith, H.G. Wells: Desperately Mortal: A Biography (New Haven and London: Yale University Press, 1986), p. 5. ↑ "Peter Kropotkin". Bromley Council. ↑ "Michael York". When We Were Kids. ↑ "Frankie Boyle". London: The Evening Standard. 21 March 2012. ↑ "Chris Addison". London: The Guardian. 26 April 2010.